This is my third year doing Reverb. It’s a great way to reflect on the year that’s coming to a close, to contemplate what I’ve learned and experienced, and to begin to consider where I’d like to focus my time, energy, and effort in the new year. 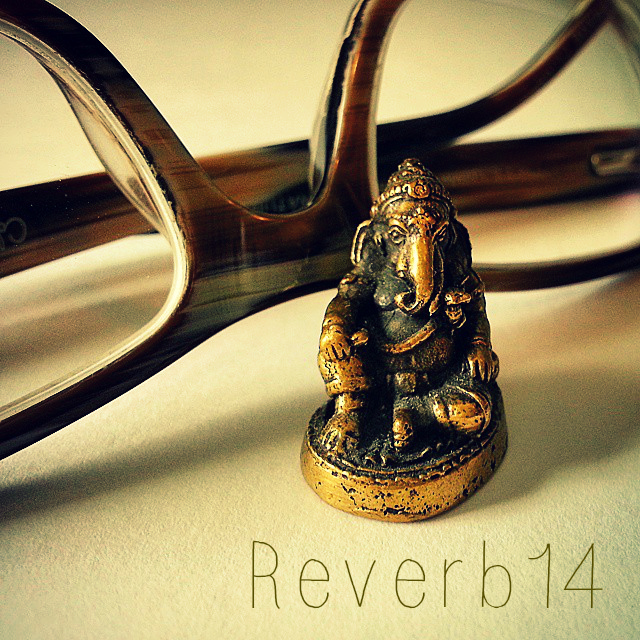 This year, I’ll be responding to prompts from Project Reverb and Reverb14, hosted by my soul sister Kat McNally. Project Reverb Prompt: Where did you start 2014? To respond to this prompt, I got out my journal, read the entry from 1-1-14, found myself literally where I started the year. I wrote that I felt sure a big shift was happening in my life. We were getting a new puppy and I was starting yoga teacher training, so for sure a change was coming. Sam was sick and we still didn’t know why. Reverb14 Prompt: What can you say right now with certainty? I contemplated this prompt for a long time, because part of me wants to answer that there is nothing I know for sure. And yet, the more I thought about it, I could admit there were somethings I was certain about. I want to be here, want to keep trying. I am a writer — this is my path, who I am, who I always have been. Starting is easier than I thought. I imagined all these obstacles, but all you really have to do is take one tiny step. Transformation is harder than I thought. It takes a lot of time and effort, especially when you are working with habits and ways of being that are old, sticky and deep. Becoming myself and being my own best friend is my most important work. I am not in control. I assume I am responsible, that whatever is happening is my fault and I need to fix it, but that’s not always true. Impermanence is real, change is constant. Learning to be okay with that brutal truth is crucial. Only I can save myself, but thankfully there’s lots of help and support available to me. The more you practice being open, the more your heart breaks. I generate my own suffering. There’s a path that offers a way out of that suffering. Living against cultural norms and expectation is difficult and at times painful. You can’t save others, you can only love them. I love to read almost more than I love to write. You never stop missing someone you loved and lost. Never ever ever. I am allowed to rest, to feel what I feel. I don’t need to apologize for or be afraid of who I am. This entry was posted in Kat McNally, Project Reverb, Reverb14 and tagged Kat McNally, Project Reverb, Reverb14 on December 1, 2014 by jillsalahub. these are all SO good. It’s like a list of mantras, daily mantras. I might borrow some, if you don’t mind. Ohhh. You’ve done it again! Your list of certainties is simply perfection, my sister. I see truth, I see love, I see you. And I see me too. I just had that feeling of deja vu reading the points at the end of your post Jill. That feeling that I’ve read them before….a long time ago in my mind yet they resonate so true today. “You can’t save others, you can only love them.